Major General Del Col has had a long and distinguished career in the Italian Army since 1985. He has held multiple leadership positions, from platoon leader to infantry Brigade Commander. As a Staff Officer in the Italian Army, he served as junior assistant to the Deputy Chief of Defence Staff, as Special Projects Section Chief, as NATO Force Planning Section Chief and as Italian Army Liaison Officer to the British Army. At Joint level, he served, from 2009 to 2011, as Defence Strategy and Operations Policy Branch Chief at the Defence Staff Headquarters in Rome. Since 2015, Major General Del Col has been the Senior Deputy Chief of the Cabinet Office of the Minister of Defence. Major General Del Col has extensive international operational experience, including in Kosovo, Lebanon and Libya. 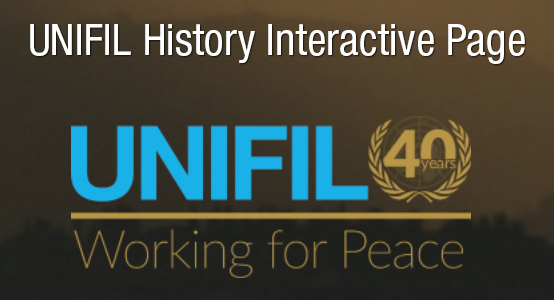 He served with the United Nations Interim Force in Lebanon (UNIFIL) in 2008 as a Battalion Commander and in 2014-2015. In the latter deployment, he served as Commander of Sector West and Italian Contingent Commander. 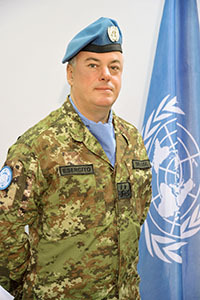 Major General Del Col holds a Bachelor’s degree in Strategic Sciences and a Bachelor’s degree (with distinction) in International Relations and Diplomatic Sciences. He also holds a Master’s degree in Strategic Sciences and a Master’s degree in International Military Studies. His military education includes the Army Staff course, Joint Service Command and Staff course and the Royal College of Defence Studies in the United Kingdom.